To feel or be sensual is to be acutely and deliciously aware of our senses. In our often busy distracted lives connection to our senses is sometimes dulled. We may eat without really tasting, hear without really listening and our relationship with our bodies may be disconnected or unconscious. We are all capable of experiencing great pleasure. We acknowledge such pleasures as eating fine food, exercising and enjoying a beautiful sunset. To feel pleasure is our natural birthright and touch is one of our greatest ways to step into that experience. But most people have not been taught the pleasures they can receive from touch, nor been educated in giving pleasurable touch to others. At best we have learnt some anatomical facts, but rarely have we been taught the "how to" of body pleasure. Now on this course you can learn about and experience giving and receiving the pleasures of touch. Sacred Sensual Massage is a gift that encourages communication between people, a way of showing love and care and of reuniting us with our pleasure-filled bodies. Tension in the body produced by past traumas and anguishes restricts the flow of blood and energy and creates obstacles to the full enjoyment of the body and the ability to live harmoniously with the body. This course will free trapped energy in the body, help you resolve inner conflicts that affect your sensuality, sexuality and your relationships and lead you to a happy, healthy, loving and fulfilling life. This unique course will offer you a very safe, sacred space to experience exquisite touch and nurturing of the kind that will open your heart and make you feel whole, alive and in love with life! You’ll discover the delight of giving and receiving a massage experience that awakens your senses and invites you to let go and relax very, very deeply. Massaging intuitively from your heart, Sacred Sensual Massage is a real pleasure to give as well as to receive! Highly recommended not only for creating very deep relaxation, nurturing and openness but also for releasing trauma from physical, emotional and sexual abuse. This course will provide you with a safe, sacred space to experience massage and nurturing that will open your heart and make you feel whole and alive. This is a practical hands-on massage course suitable for absolute beginners to massage, those with previous massage experience and those wishing to work professionally with sacred sensual touch. The course is delightful to attend with a partner, friend or on your own. Come and connect with your sensual self, have fun and celebrate! The teachers are Michael and Jules. A Wellbeing Consultant and yoga teacher with 30 years of professional massage experience, Michael loves creating pleasure through touch. Michael has great love and reverence for sensual massage both as a transformative power and as a path toward wholeness. He originally formulated this style of massage 18 years ago & has since taught and practised in New Zealand, Australia, Bali and Paris. Jules is a bodyworker and teacher of massage, relaxation and Yoga. She is passionate about using massage, touch, breath, movement and visualisation to enhance our natural ability to experience the magic of sensual pleasure. Jules feels sensual massage is a keystone for awakening and connecting with our inner passionate selves and creating awareness and celebration of our powerful heart energies. NB. There is no genital massage on this course. 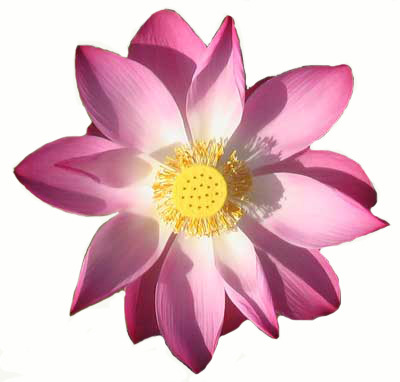 This course is a prerequisite for Pure Wellbeing's Tantra Massage Course in which genital massage is taught. Course Schedule for 2018 coming soon..